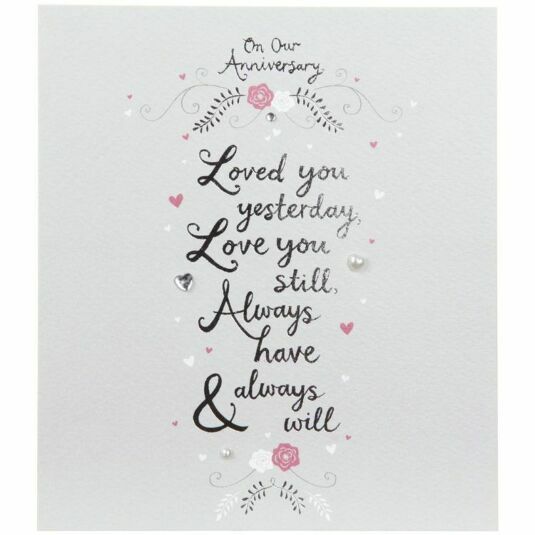 Give your partner a special message on your anniversary with this stylish greeting card from Paperlink's Love & Laughter range. The message on the front of the card is written in reflective silver writing and reads; “On Our Anniversary, Loved you yesterday, Love you still, Always have & always will”. It comes with raised diamante hearts to add an extra sparkle.